Amy Turci focuses her practice on representing small, large, and market leader employers in the retail and construction industries. With the knowledge gained through the acquisition of her MBA, as well as in her 17+ years as a management-side employment attorney, Amy understands a company’s need to blend legal and business concerns into its risk minimization. She has extensive experience representing clients in matters involving federal and state anti-discrimination statutes, worker’s compensation retaliation, wage and hour litigation, and non-compete agreements. 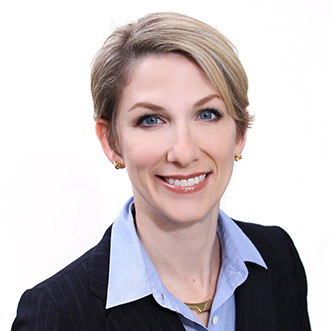 Amy is a Board Member and the Chapter Attorney of the Associated Builders and Contractors, Inc., Florida First Coast Chapter, and served as the 2015-2018 Chair for ABC's Women's Council; Amy additionally served as a Co-Chair of the 2013 ABC Excellence in Construction Awards, serves on the Governmental Affairs Committee, and is involved with the legislative efforts of ABC of Florida at the state and national levels, including serving as a Board Member of ABC State of Florida. Amy is a committed volunteer for the March of Dimes, having been a member of the Circle of Champions since 2010, a member of the Board of Directors since 2012, and serving as Board Chair for 2015-2016; Amy has additionally served on both the March for Babies Executive Committee and Signature Chefs Auction Committee, as well as serving as the Chair of the Signature Chefs Auction for 2012 and 2017. Amy has been a mentor with Take Stock in Children, and is the office contact for the area chapters of Habitat for Humanity. Amy currently serves as a Board Member and as head of the Governance Committee for The Discovery School, a Montessori and International Baccalaureate accredited pre-K through grade-8 school. Received full summary judgment in a federal disability and religious discrimination, retaliation, and FMLA retaliation case for an international retail client. Achieved affirmation from the Eleventh Circuit Court of Appeals regarding the summary judgment of a disability discrimination and whistleblower claim. Regularly achieves nominal settlements for federal and state discrimination lawsuits. October 14, 2014 - Are You Prepared to Deal with Potential Exposure to Ebola in the Workplace?